Got a leap on the kitchen progress again. All the cabinets on the stove wall are in various stages of completion. 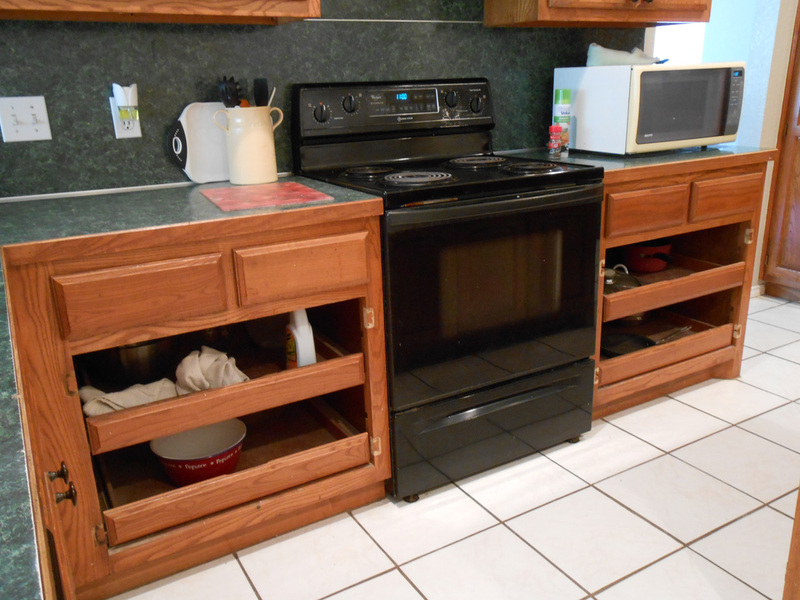 Here the cabinet drawers are installed with the new cup-pull, hardware. 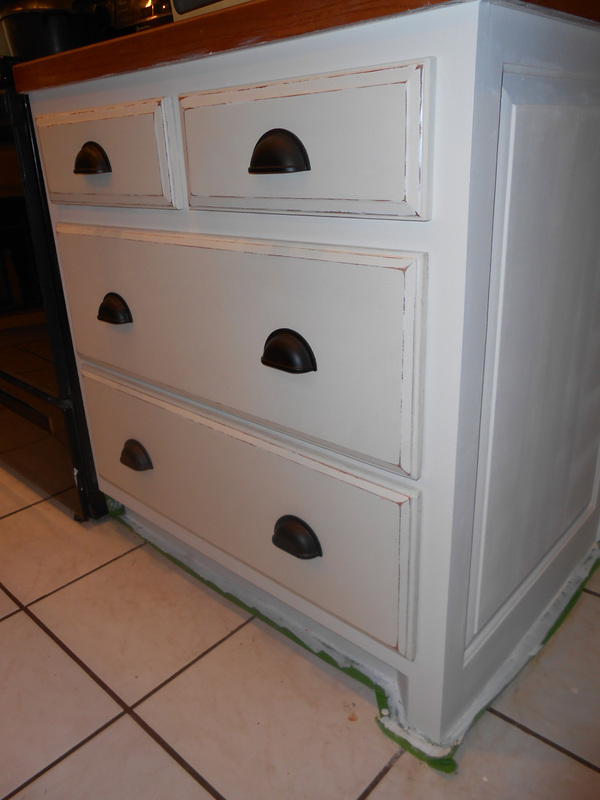 The cabinet itself hasn’t been waxed yet so you can see the color difference between the waxed drawers and the frame (click photos for close up view). 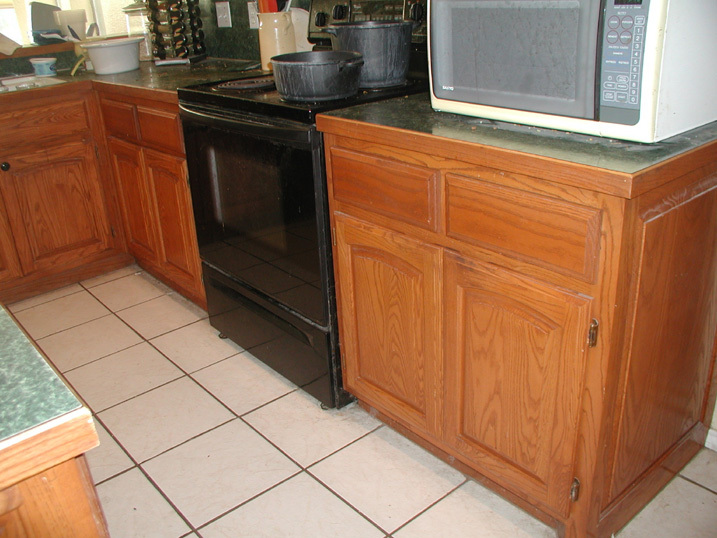 Overall, the horizontal drawers (which replace cabinet doors) I think makes the kitchen look bigger. Finally, something in the kitchen is starting to pull together and the vision can be somewhat seen. 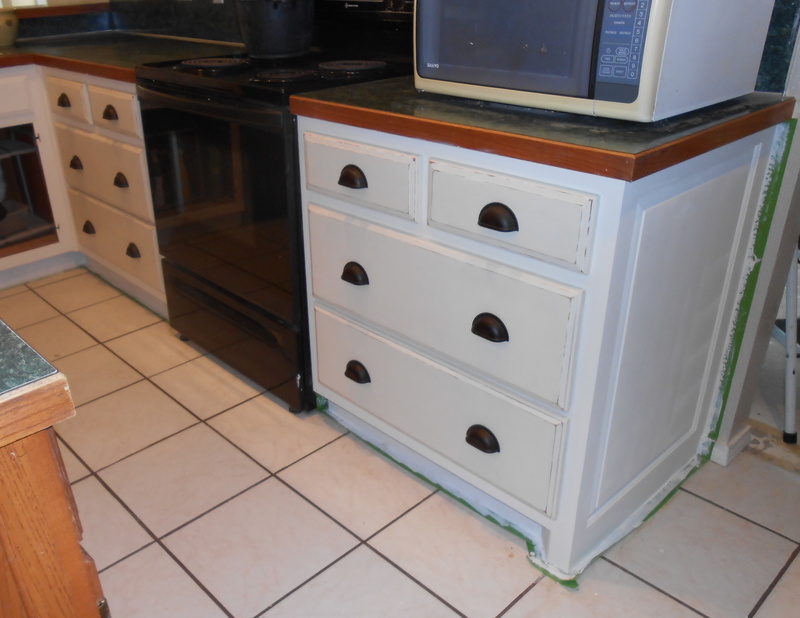 I love these cabinets but I’m still a bit worried about the durability of the chalk paint. 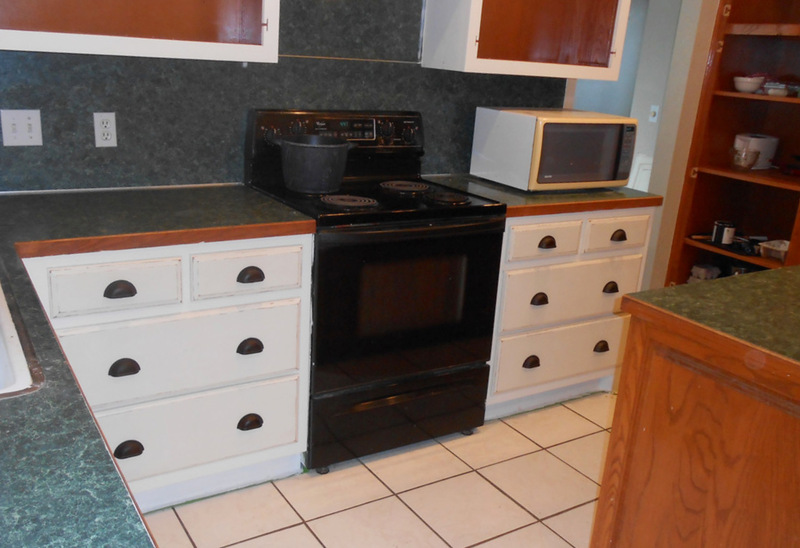 I can’t wait til the old green countertops and backsplash are gone and replaced with granite or quartz! It will look WOWSER!